Rich in period charm, this beautifully presented residence in central south retains much of its original character such as leadlight windows, ornate ceilings and bay window facade, all complimented by contemporary renovations. Main features include a formal entrance, formal dining and lounge room, spacious bedrooms, updated bathroom with separate shower and bath. Be impressed with the magnificent polished timber floorboards with parquetry design in the dining room and stunning brick fireplace with timber mantle. The bright central kitchen with stone bench tops, euro appliances and large pantry will please any chef. 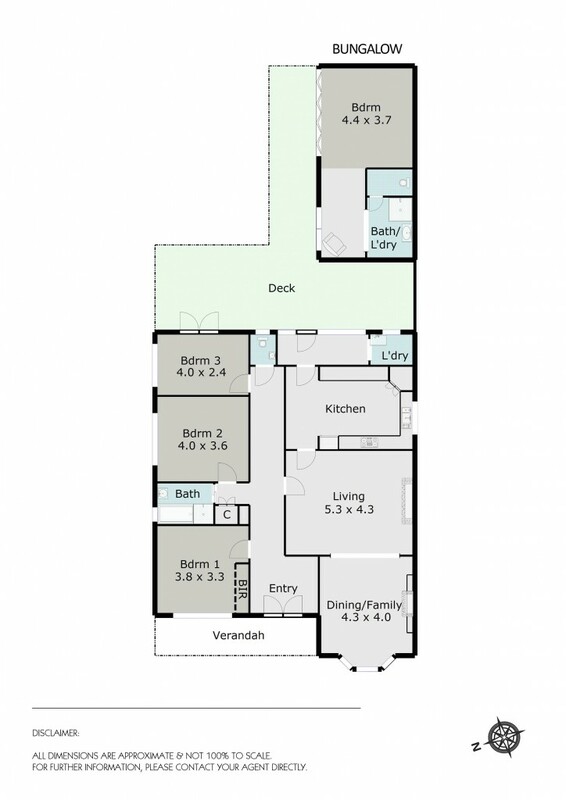 Outside you will be greeted by a fantastic entertainment area incorporating tiered merbau decking with inlaid lighting, plus a paved outdoor area which in turn leads to a fully self-contained bungalow, studio or home office, complete with separate shower, toilet & laundry. Single garage with workshop, and single carport at the side of the home allow for plenty of parking, with the added attraction of potential laneway access from the backyard. In a well-connected yet quiet street, close to local primary school, local shopping and public transport, don't miss out on your opportunity to purchase an outstanding and beautiful residence on a large allotment in a desirable location.